Walter “Junie” Morrison is a musician and producer born in Dayton, Ohio. Morrison was a producer, writer, keyboardist and vocalist for the funk band the Ohio Players in the early 70s, where he wrote and produced their first major hit, “Funky Worm” (1971). He left the band in 1974 to release three solo albums on Westbound Records (When We Do, Freeze, and Suzie Supergroupie). In 1977 Morrison joined George Clinton’s P-Funk (Parliament-Funkadelic) where he became musical director. He brought a unique sound to P-Funk and played a key role during the time of their greatest popularity from 1978 through 1980. In particular, he made prominent contributions to the platinum-selling Funkadelic album One Nation Under a Groove, the single “(Not Just) Knee Deep” (a #1 hit on the U.S. R&B charts in 1979) and the gold-selling Parliament albums Motor Booty Affair, and Gloryhallastoopid. Morrison also played on and produced some P-Funk material under the pseudonym J.S. Theracon, apparently to avoid contractual difficulties. Morrison is a member of the Rock and Roll Hall of Fame, inducted in 1997 with fifteen other members of Parliament-Funkadelic. After his time with Parliament-Funkadelic, he recorded three solo albums in the eighties including 1980’s Bread Alone, 1981’s Junie 5, and 1984’s Evacuate Your Seats. 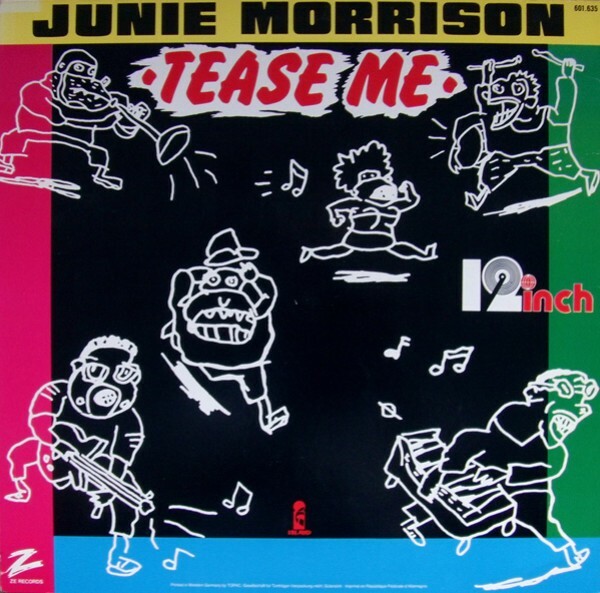 The single “Tease Me” from the Evacuate Your Seats album was released in the US and Europe and was remixed by Arthur Baker for the 12″ single.